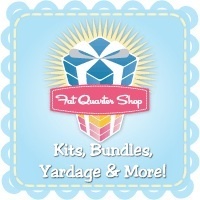 Today is my stop on Jennifer of Ellison Lane Quilts Scrappy Stash Quilt-Along Blog Hop! This is going to be a great opportunity to dig into your scraps and make something really special. Jennifer will be posting a tutorial beginning October 9th so you can make a quilt from Monochromatic Improv Log Cabins. Love it! 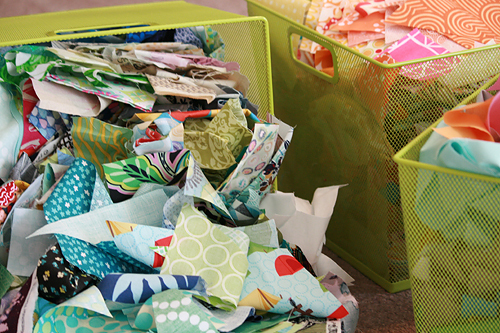 For the blog hop, Jennifer asked us to share our scraps and how we store them. I have a lot of scraps. It might not look like it, but they are so compressed in these baskets they are probably forming diamonds at the bottom. I'm not sure if I mentioned it ever, but I am really spoiled to live about 10 minutes away from the Crate and Barrel outlet store. These green wire mesh baskets came from there. 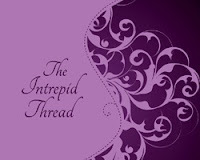 I love the bright colors and the mesh is perfectly spaced so I don't lose small pieces of fabric. Because yeah, I keep everything for some reason. I attempt to keep my scraps organized by warm/cool/solid colors. But my kids also love to play in my bins, so usually there is a bit of mixing up going on. Jennifer's Quilt-Along kicks off on October 9 with giveaways, special sales, discounts and all the details to get you started. Sponsors: The many prizes offered to those of you that join our quilt-along are graciously donated by the following sponsors. 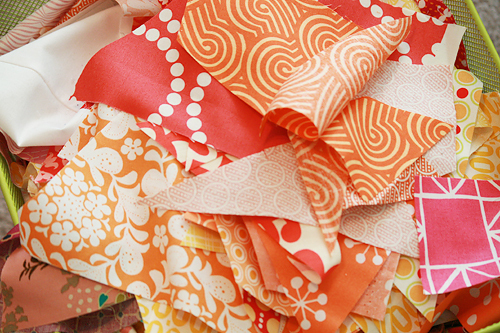 Blog Hop: The following fabulously talented ladies have so kindly offered to share their scrap secrets with you as well as helping spread the word about the Scrappy Stash Quilt-Along. Be sure to stop by each day and check out their scrap storage! OK, who's ready? Grab a button for your blog then pop on over to see Dana at Old Red Barn Co. and let's get this party started!